The Maltese food is a delicious mixture of the gastronomy influences left behind by the successive conquerors of the islands of Gozo and Malta. So, expect to be surprised by eating a variety of dishes which can taste like food you had in Italy, the North of Africa, Eastern Mediterranean region, and even Britain. All these flavours put together make for an extremely rich cuisine in Malta. 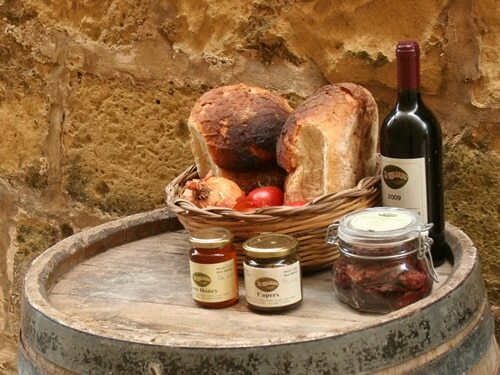 Because of its location and landscape, Malta’s gastronomy is mainly rustic and based on season products and sea food. Many classic recipes include a tart base filled up with vegetables, cheeses, meat, fish, pasta or rice. There are also a lot of stew dishes, following the traditional maltese cooking method of putting the food in mud vessels over a hot stone named kenur, since there were no firewood ovens because trees aren’t abundant. Another different way of preparing food is the filling of meats and sea fruits. When you visit Malta, don’t lose the opportunity to taste some of the following dishes that you can eat only in the Maltese islands. Pastizzi and Qassatat – Pastizzi are some of Malta’s favourite snacks and you can find stalls or bars that sell them everywhere. They are made of ricotta cheese or a green pea mixture stuffed inside pastry. Qassatat are almost the same, but made of a lighter pastry and round, instead of diamond-shaped. Take these two delicacies with you as you walk or drive in Malta. Gbejniet – These are small round cheeselets made from goat or sheep’s milk. You can find them plain or peppered. The spicy one is absolutely delicious with local bread and a slice of tomato, Maltese style. Maltese bread – Malta is the perfect place for bread lovers because, some say, it is the best bread in the world. Try the hobz (small soft rolls) and the ftira (a ring shaped loaf). Hobz Biz-zejt – Served as an appetizer in fancy bars and restaurants, these pieces of bread with olive oil and a mixture of chopped tomatoes, onions and herbs was once what poor Maltese people could afford to eat. Soppa Tal-Armala – There are many tasty soups in Maltese gastronomy, including minestra, vegetable soup. Soppa Tal-Armala (widow’s soup) got its name from the simple ingredients: tomatoes and other vegetables combined with ricotta cheese or gbejniet cheeselets. Aljotta – Boiled fish soup with tomatoes and garlic. Fenek – Rabbit meat (Fenek) is the most popular one in Malta. Locals eat it in many different ways but some of their favourite are rabbit stew with wine and herbs, roast rabbit, fried rabbit or even as a sauce to go with a spaghetti dish. Torta Tal-Lampuki – This is a delicious pie prepared with lampuki, a fish the Maltese love but can only find from September to November. 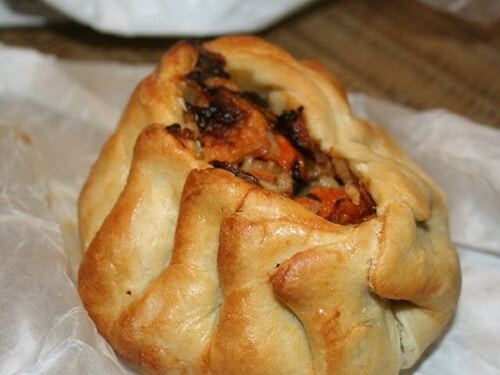 Also inside the pie, you can find vegetables, walnuts, olives and raisins. Bragiioli – Slices of beef or veal stuffed with a combination of cheese, ham and herbs cooked gently on the stove or in an oven. Ross Il-Forn – Baked rice with minced pork, beef, bacon, eggs and ricotta cheese. Stewed octopus – A sauce octopus with onions, tomatoes, olives and capers. Timpana – A macaroni plate with minced beef and pork, eggs, cheese, chicken liver and bacon. Swordfish in caper sauce – fried swordfish with a sauce of capers, tomatoes and onions. Quabbajt – Similar to nougat, this sweet is made with almonds and honey. Past tradition said you would eat it only at festivals or special events but now you can find it year-round in stalls and local shops as you visit Malta. Mqaret – Pastry parcels filled with a date mixture and deep fried. Buy some in a stall and eat as a snack. They are delicious. 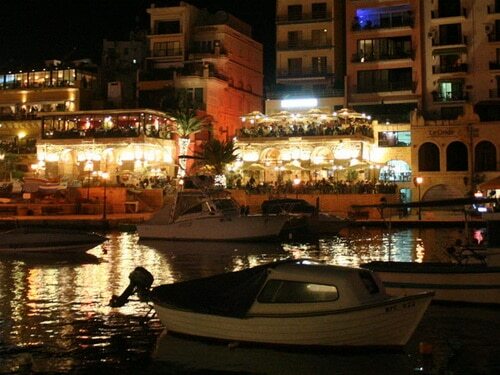 Drinking in Malta can be a wonderful experience too. Some Maltese wines are excellent and the some goes for Cisk, the local refreshing beer. You can also try some popular local ales like Hopleaf Pale and Blue Label Ale, as well as some local liqueurs like Anisette (from the aniseed) and Bajtra (from the prickly pear). The favourite drink in Malta is Kinnie, available only in the Maltese islands and nowhere else in the world. You absolutely have to try this slightly bitter, fizzy drink which tastes of orange and herbs. The Maltese also love tea and coffee, both usually served with milk. Tap water in Malta is sea water converted to drinking water through a process of desalinisation. 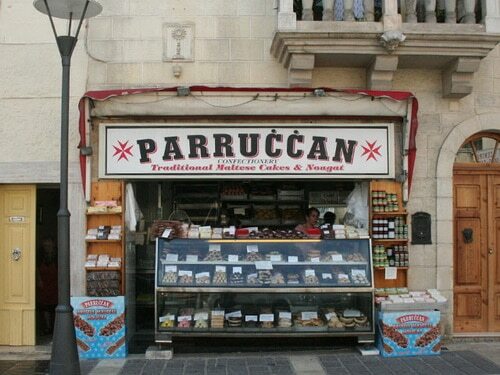 When visiting Malta, try it. If you don’t like the taste just buy bottled water. Like everywhere else in the world, Malta food prices vary according to where you are eating. But of course you will want to taste some of the delicious Maltese cuisine meals mentioned in this guide. A two course meal (starter and main dish) for one person in a seated Maltese restaurant will cost you between €10 and €40. 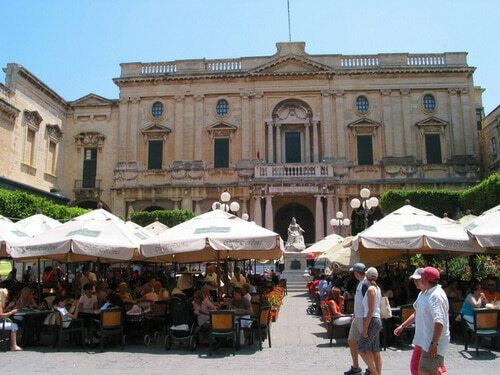 There are also many other types of cuisines available in Malta like Mediterranean, French, Italian, Indian, etc. If you don’t want to spend as much time or money, you can eat in take-aways found specially in cities. These sell both local products and imported food and drinks. 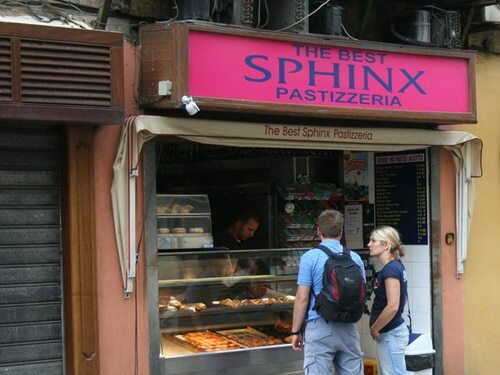 You will pay at least €0.35 for Pastizzi, €0.70 for a small square of pizza and €5.50 for a kebab in the bread. When on a budget, you can buy your food from supermarkets. Bread in Malta costs only around €0.50 and together with some Maltese cheese and some fruit will get you through the daily walking or driving. As for drinks, the price of beer in Malta is €1 for half a pint of local or imported beer in a bar, €1.50 when in a touristic location. Once again, when you are in a more exclusive place like a night club, expect to pay triple for an alcoholic drink. Prices of drinks will also be considerably cheaper if you buy them in supermarkets as you go visit the Maltese islands.